It’s been 16 years since I first stepped onto a Yoga mat. It’s been relationship like all others, sometimes it totally consumed me, there were times when I was angry with it and there were the times I neglected it. I have studied it, felt it, tried to analyse it and played with it. Thankfully I’ve never been able to turn away from it. It’s been a fascinating journey and I’ve had the great privilege of working with amazing teachers and practising with wonderful yogis who have become fast friends. Last week I allowed myself the space & privilege to work with James Higgins for a week long Master class immersion. I’ve been attending his workshops since 2011 and so am grateful to have him for a week of our 500hr training in 2012. 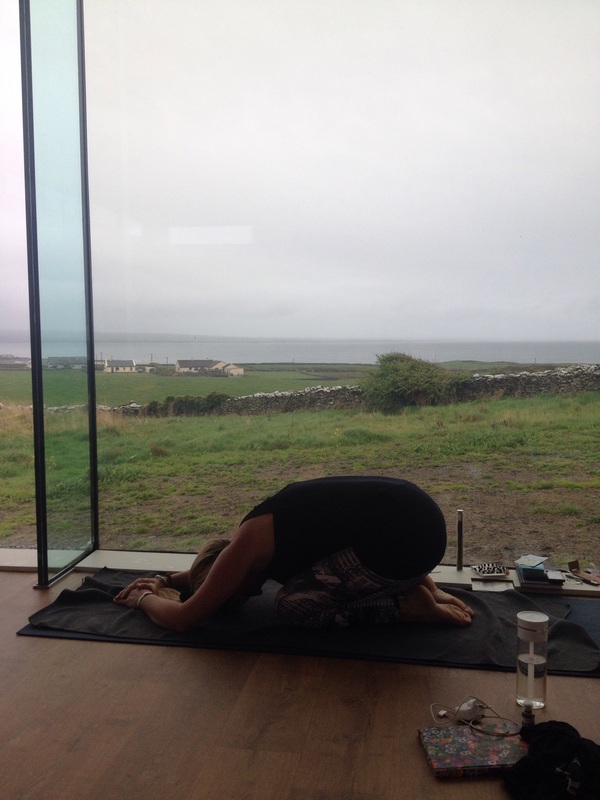 So I was very excited to be returning to the mat with him again.James invited us to move deeply into postures while he spoke with an ease that softened a strong practice. He got us to question our souls desire…. “how can we be kinder to ourselves”…. “what do we long for?”……..My breath…. connection….willingness to love self…..in loving the breath… in being totally present with the breath… its all there. Questions of life may never be answered but we move on regardless. Stay faithful to the breath let it be soft, close, connect with the oneness. 16 years of learning its all about the simplicity of taking a breath. Loving kindness to self….Loving kindness to the breath.